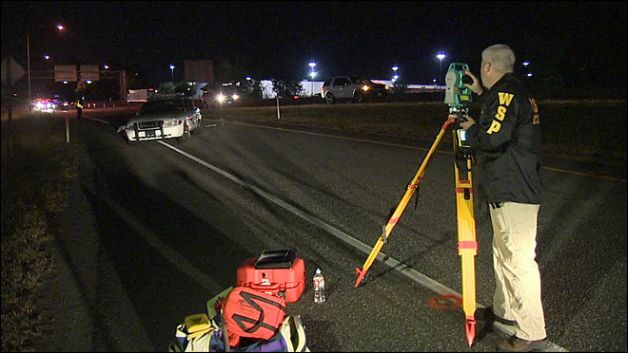 An unidentified male pedestrian was the unfortunate victim of a fatal pedestrian accident Tuesday evening after being struck by a Washington State Patrol (WSP) vehicle on Interstate 5 in Mount Vernon. According to the WSP, two troopers were headed to the southbound East College Way exit in separate vehicles at approximately 9:45 p.m. after receiving reports of a motorist who allegedly flaunted a rifle at another driver. The troopers were setting up a lookout for the suspect involved in that incident. While headed southbound on I-5, a male pedestrian allegedly attempted to cross the freeway in front of one of the patrol cars and was struck by the left side of the vehicle. Spokesman Keith Leary said the man died at the scene of the collision. If you have been injured in a pedestrian car accident, you may be entitled to compensation for your injuries and lost wages. Davis Law Group helps pedestrian accident victims get peace of mind and the financial compensation they deserve. If you have been the victim of a pedestrian accident, contact the top-rated personal injury attorneys at Davis Law Group today at 206-727-4000.